Five years ago, it was common practice for developers to spend their weekends updating code on mainframes. The push towards microservices has given teams the opportunity to rearchitect legacy services and build new ones on the cloud. Cloud services like Amazon Web Services, Microsoft Azure, and Google Cloud Platform have flooded the market with the ability to build pipelines that allow for easy and scalable deployments - but once in the cloud, these services are not exempt from region-wide failures. Architecting for system failure is essential for startups and tech giants alike and can be a hurdle for many teams developing on a new platform. In this talk, we'll discuss the considerations and tradeoffs associated with architecting for multi-regional active-active resiliency. We'll talk about asynchronous data issues that rise from building regionally-localized environments. We'll take a dive into selected architecture patterns and discuss new tools and services that can be utilized to minimize headaches and to maximize service availability. 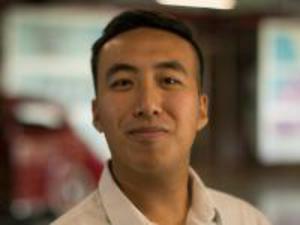 Steven is a software engineer at Capital One where he has worked since receiving his Bachelor's in Mathematics from the University of Houston in 2016. In that time, he's worked on projects of all shapes and sizes, and has earned his AWS Solutions Architect Associate Certification. Although originally a Java-devotee, Python has slowly slithered into his heart. His focus is on mentorship - both in the workplace and in the classroom.